Initially, there were fears that excessive use of wireless devices would result in a rash of brain cancers. Instead, they're being blamed for a rash of car crashes. Insurance companies say they can't raise premiums fast enough to keep up with the cost of replacing sheet metal and paying those killed and injured in accidents caused by distracted drivers. Travelers, The Hartford, and Horace Mann all reported profit declines in their most recent reports and pinned much of the blame on smartphones. Insurers aren't charities, and rising claims show up in the premiums consumers pay. The Insurance Information Institute says the average U.S. car insurance premium rose to $926 last year, up 16% from 2011. While you may not care about insurers' profit margins or even about insurance premiums, the rising accident toll has human costs as well. The National Safety Council last week released its estimate of traffic deaths in 2016 -- 40,200, a 6 percent increase from the year before. The 2016 increase comes on top of a 7 percent rise in 2015 for a two-year increase of 14 percent, the highest in more than half a century, the New York Times noted. "Our complacency is killing us. Americans believe there is nothing we can do to stop crashes from happening, but that isn't true," said NSC President and CEO Deborah A.P. Hersman. "The U.S. lags the rest of the developed world in addressing highway fatalities. We know what needs to be done; we just haven't done it." 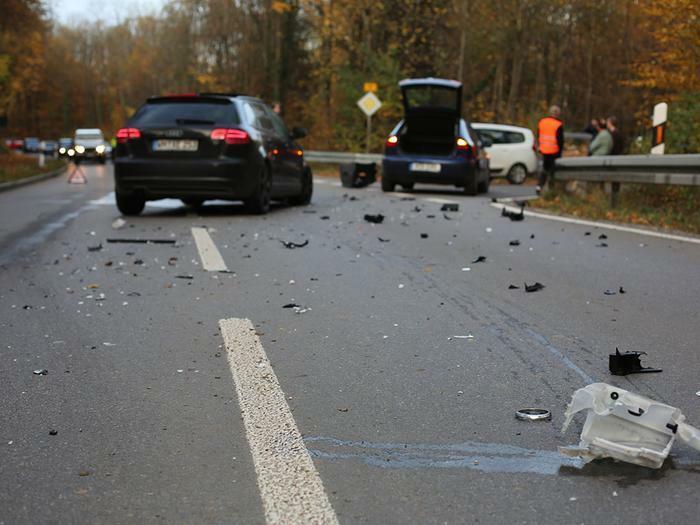 The higher death toll comes despite anti-lock brakes, electronic stability control, airbags fore and aft, back-up cameras, airbags, and other technology that is supposed to help prevent accidents and make them more survivable. You might say the higher accident rate can be attributed to more traffic caused by a growing economy, increasing population, etc., but the National Safety Council report breaks it down to 1.25 deaths per 100 million miles traveled, a 3 percent increase from 2015, suggesting that there is more at work than simply increased travel. “Distracted driving was always there, but it just intensified as more applications for the smartphones became available,” said Bill Caldwell, executive vice president of property and casualty at Horace Mann, quoted in a Wall Street Journal report. The solution for individuals is clear: put your smartphone in the glove compartment while driving and leave it there. The solution for the U.S. as a whole is bit more complex.